At this point, Long Islanders are done with snow, but who wouldn’t love a little Snowball? Snowball is a poodle/bichon frise mix from Save-a-Pet Animal Rescue and Adoption Center who was recently given up by her owners who could no longer care for her. She is a small adult dog who has already calmed down and is ready to settle in to her forever home. Shelter staff say that Snowball has “the sweetest little personality,” and that she loves going for walks with shelter volunteers. Snowball is a fantastic companion for either the young or old, and would love to be in a home where there is often someone around so she could sit by their side and enjoy their company for all her days to come. She is also good with other small dogs. 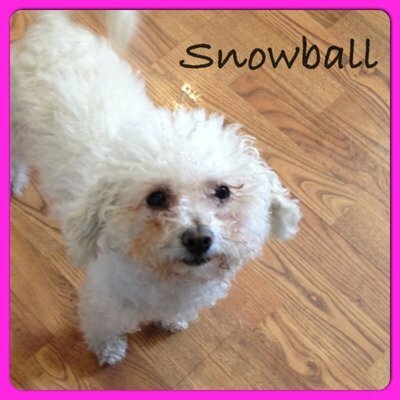 Snowball is housetrained, spayed, and up-to-date with all of her routine vaccinations. If you are interested in adopting Snowball or another dog or cat at Save-a-Pet Animal Rescue, call (631) 473-6333, or fill out their online application. Be Sure to Check Back Each Thursday for Our Newest Adoptable Pet of the Week! Work with a Shelter? Interested in Featuring a Furry Friend? Email Us for More Info! Subject: LongIsland.com - Your Name sent you Article details of "LI’s Adorable Adoptable Pets: Sweet Snowball is Looking for a Home"